There are a couple of different debates that typically occur when a bunch of car guys get together. The first and most obvious has to do with the size of a car’s engine. 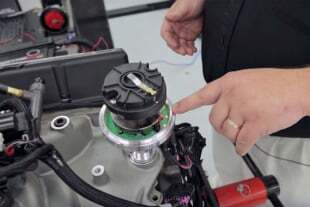 While the big-block vs. small-block variable is one that has two groups of passionate followers, the other reflects the way in which the driver selects transmission gears. The discussion about whether to use a four-speed or an automatic transmission has been going on for as long as anyone can remember, and we see no end in sight. 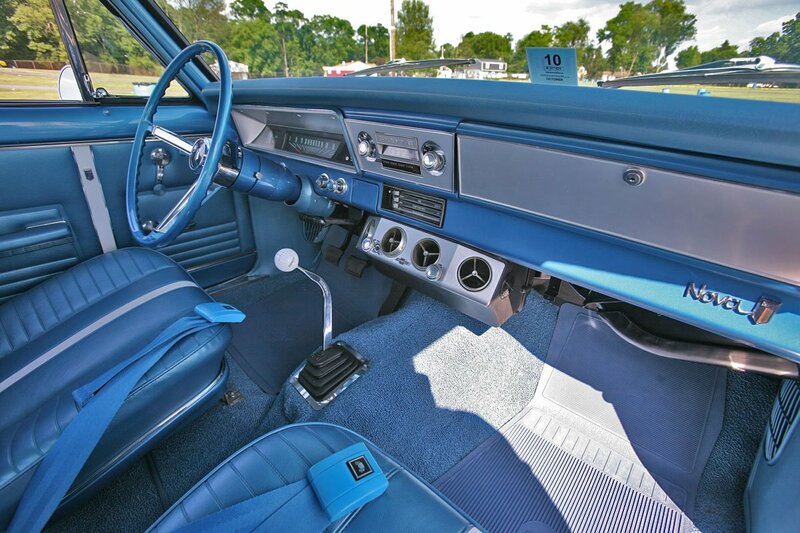 While the four-speed manual transmission was a staple in many Chevrolet musclecars, even many of the General’s “other” car models were equipped with a manually-operated gear selecting device. However, finding one of these transmissions now at a swap meet or salvage yard is getting harder and harder. If you do happen to stumble across one at a swap meet, do you know what you are actually looking at? Did you know that there are various models that were used in various cars? Hopefully, this guide can help you decipher what gear box you have located if you’re in need of a four speed, or if you are fortunate enough to happen across one stashed away in a barn somewhere. Many enthusiasts feel that for a car to be a true musclecar it must have a four-speed transmission. During the run of General Motors’ inclusion of four speeds in their cars, there were three variations possible. First came the Borg Warner T10 beginning in the late ‘50s. This early box began its career being placed in the Corvette. By 1963, the General had developed and worked with the Saginaw Corporation to develop a proprietary four-speed (based on components used in the Borg Warner transmission). 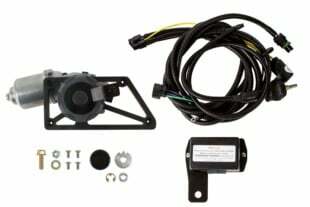 Not only were they both popular transmissions in musclecars and Corvettes, but many were even used after the musclecar era. 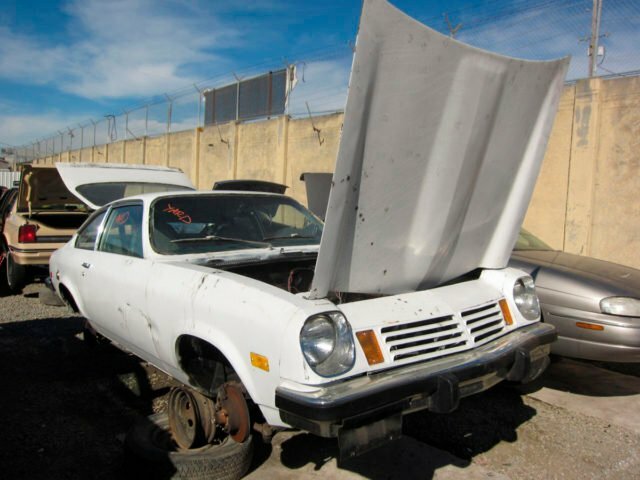 We have salvaged more than one Saginaw from cars like the Vega and Monza. Borg Warner once again started supplying four speeds to GM in the early ’70s with the release of the Super T10. This was used in A-body and F-body cars and Corvettes into the early ’80s. We’ve sourced more than one Saginaw from Vegas in junkyards. Of course, that was many years ago. Depending on how you ordered your musclecar in the ‘60s and early ‘70s, you might have even benefitted from the famous Muncie transmission. It’s no secret that the Saginaw and Borg Warner transmissions were not built to handle the kind of power that a Muncie transmission could withstand. But in non-performance applications, they were still a good transmission. 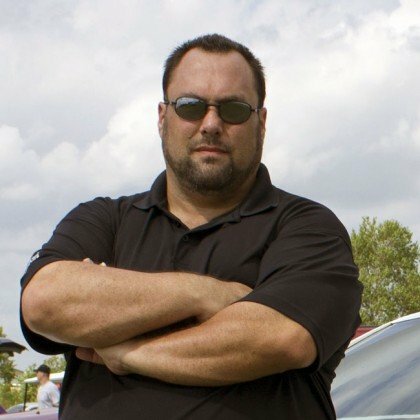 Keep in mind, if you plan to drop one in a vehicle that makes more power than it did when it was stock, you might want to consider going with the Muncie if you plan to beat on it. Basically, if you are installing one or the other in a car that will be a nice driver and see only minimal, spirited gear grabbing, both the Saginaw and the Borg Warner can be a good and less expensive alternative to the more robust Muncie. As a rule of thumb, the Saginaw and Borg Warner transmissions should live a long and happy life when used in cruiser applications. If the car has high performance upgrades that substantially raise the engine’s torque output above 300 to 350 lb./ft. – and traction is enhanced, you can figure on eventually breaking the transmission. Even the Muncie has its limitations, but they are significantly higher than the Saginaw or Borg Warner. When you find a used four speed, a Saginaw and Borg Warner transmission will likely be flash rusted because of the cast-iron construction. The Muncie is made of aluminum, and will not be rusty looking. Do you know how to tell the difference between a Saginaw, a T10, and a Muncie four speed? The easiest was is by knowing the construction of each unit, and the differences are obvious. If the case and side cover are made of cast iron, that would make it a Saginaw transmission. If it has a cast iron case with an aluminum side cover and tail housing, that will mean you have found a Borg Warner. To add a little confusion to the mix, there were Borg Warner Transmissions that feature aluminum cases and cast-iron side covers. Differentiating is easy, as the Muncie has seven bolts holding the side cover, and the Borg Warner uses nine. If the case, side cover, and tail housings are made solely of aluminum, well my friend, that would be a Muncie. Not only are the Saginaw and Borg Warner side cover and tail housings constructed of different materials, but the reverse shifter arm of a Saginaw is on the side cover while the T10 is located on the tail housing. The materials used in case construction mean that if you find one of these gear boxes in a shed or barn, the Muncie will probably be smooth and covered in grease and/or oil, while a Borg Warner or Saginaw transmission will usually be coated in a light layer of rust. When looking at a Saginaw transmission, the front input shaft will likely have one or multiple grooves cut around its diameter. These grooves are there to indicate the ratios of the gears inside the transmission. 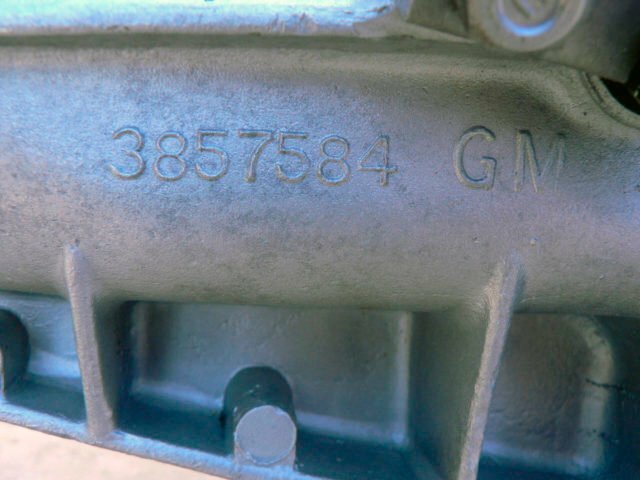 When properly identifying a Saginaw transmission, the casting numbers are a surefire way to know for certain what you’re looking at. These numbers can be found on the transmission case, and the first letter in this series of numbers is going to tell you exactly which Saginaw transmission you are looking at. While it’s obvious that the four speed will use three shift-linkage arms and the three speed will have two, if the first letter is R, then you have found a four speed. If it starts with an S, you are looking at a three-speed Saginaw. The Muncie four-speed transmission was heralded by many as an “indestructible” four speed used by General Motors, and found its way into many different car models, behind various engine combinations between 1963 and 1974. If you are not sure how to distinguish between an M20, M21, or M22 Muncie, knowing what to look for can be tricky. Comparison images courtesy of Hurst Shifters. The Muncie’s appearance, design, and operation did not change much during the transmission’s use in GM production cars. However, there were several design upgrades and modifications made during the total production run. The Muncie four speed was produced in two ratios: the wide ratio (M20) and the close-ratio (M21). That being said, there was a second, close-ratio version (M22) that was developed to survive duty behind engines with a higher torque output, and was known as the “Rock Crusher.” This version was offered in high performance big-block cars starting with the 1965 Corvette. We need to make note that the early Muncie transmissions offered between 1963 and 1965 utilized a 7/8-inch countershaft in the cluster gear, and those manufactured between 1966 and 1974 used a 1-inch diameter shaft. Many enthusiasts mistakenly refer to all Muncies as Rock Crushers, and this is just not appropriate. While the M21 and M22 did have the same gear ratios, the M22 did utilize a cluster gear with the gear teeth having different tooth angles. The M22 was designed as a road race transmission, and the straighter angle of the gear teeth produced less heat and less end-loading of the gears. This decreased helix angle of the gear not only created a stronger gear set, but it also produced a substantial amount of gear “whine” which is highly noticeable when driving the car. The ratio of the four-speed transmission placed in any car was usually determined by the engine size and rearend axle ratio. If a car came with an axle ratio of 3.73 (or numerically higher), it usually came with a close-ratio transmission. Vehicles leaving the factory with an axle ratio of 3.55 and numerically lower gears, typically incorporated a wide-ratio transmission. The casting number 3925660 denotes this as a 1968 – 1970 Muncie with a 1-inch cluster shaft. 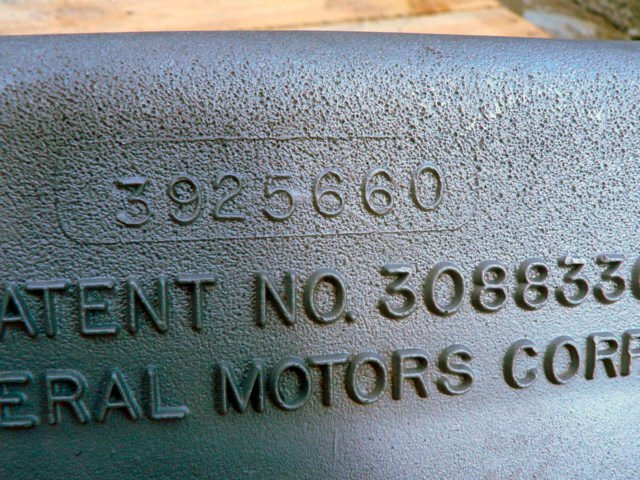 In order to correctly identify a Muncie four-speed transmission, several visual clues are needed, and those cues involve the casting numbers on the case, side cover, and tailshaft. The casting number 3857584 tells us that this is a 1966 or 1970 Muncie tailshaft. It is easy to determine whether you have an early or later model Muncie four-speed transmission by the way the transmission’s linkage arms are attached. The 1964 through 1968 Muncie side covers had a stud coming out of the side cover that secured the linkage arm via a nut. The 1969 and later models use a bolt to secure the linkage to the transmission. The numbers 3831707 and the shifter linkage being attached with studs and nuts make this a side cover for an early Muncie. While casting numbers are a definite guideline for identification, a quick, somewhat accurate way to quickly identify Muncie transmissions involves the input shafts. The Muncie utilized seven different input shafts. All transmissions with a 26-spline input shaft used a 32-spline output shaft, and all those with a 10-spline input shaft was paired with a 27-spline output shaft. Almost all Muncie transmissions were delivered with a groove(s) on the input shaft and counter gear. These grooves were cut into the input shaft so assembly line workers at the plant could easily identify which input shaft should be installed in a particular unit. We said almost all Muncie transmissions had a groove(s) around the input shaft, and that is because most close-ratio Muncies will have one ring around the input shaft. But, those built between 1963 and 1965 will not have any rings around the input shaft. Starting with the 1966 models, the wide ratio versions got two rings around the input shaft, and the M22 input shaft had no rings and looks like a 1963 through 1965 wide-ratio input shaft. Also, there were some input shafts produced by the aftermarket and General Motors that have no identifying rings on them. This is a large reason why some guys will not rely on transmission identification by the input shaft grooves. 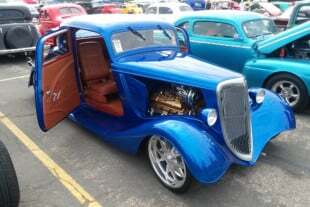 So now that we have given you some insight into identifying the GM four-speed transmission, the next time you are scouring the swap meets or local Craigslist ad, you’ll have a better understanding of what you are looking at, and you’ll get exactly what you want.